Ingress is multi-user software with a Client-Server model, which means it can be used by multiple users concurrently. This article will explain to you the steps to connect Ingress Client to Ingress Server smoothly. By following these steps, users will be able to log in to Ingress from Ingress Client effortlessly. (A) Ingress version installed in the Client PC must be the same as the one installed in the Server PC. For example, if you are running Ingress v3.0.4.9 in the server, you need to make sure that the Ingress Client is of the same version. (B) Enable Port 3000 and 3306 in Windows Firewall settings at both the Client and Server PC. 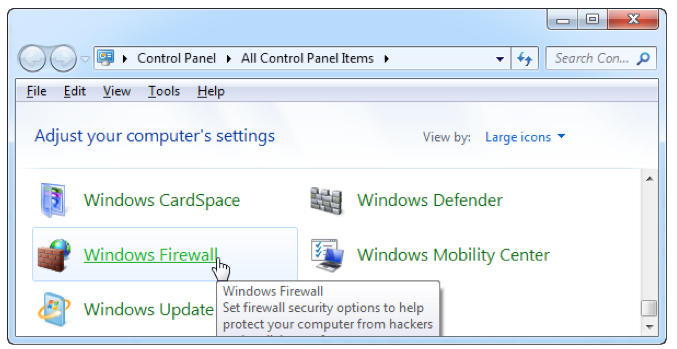 1) Go to the Control Panel and select Windows Firewall. 2) Select Advance settings from the left panel. 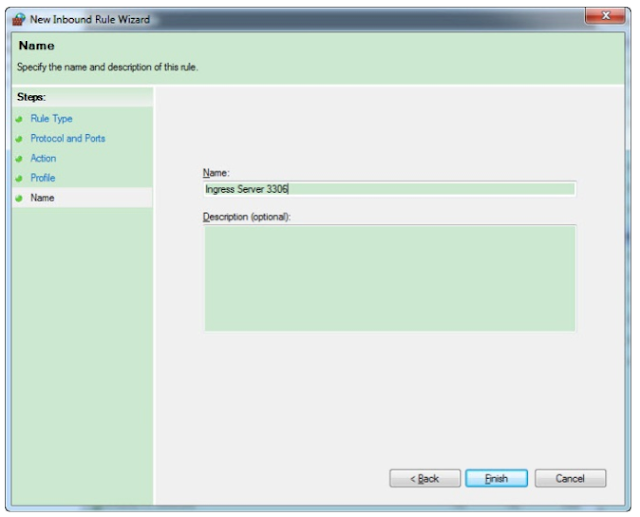 3) Click on Inbound Rules, followed by the New Rule. 4) Select Port and click Next. 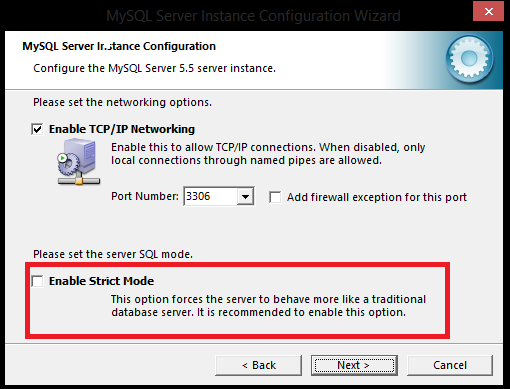 Select TCP, insert 3306 at Specific local ports and click Next again. 5) Select Allow the connection and click Next, followed by ticking on Domain, Private and Public. 1) In the Server PC, go to Start Menu, and search for MySQL Instance Configuration Wizard, and launch it. 2) Un-tick the “Enable Strict Mode” option. 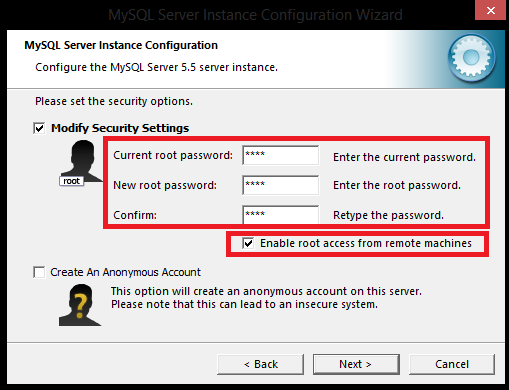 3) Enter your current “root” password at all 3 fields so that the root password will not change. 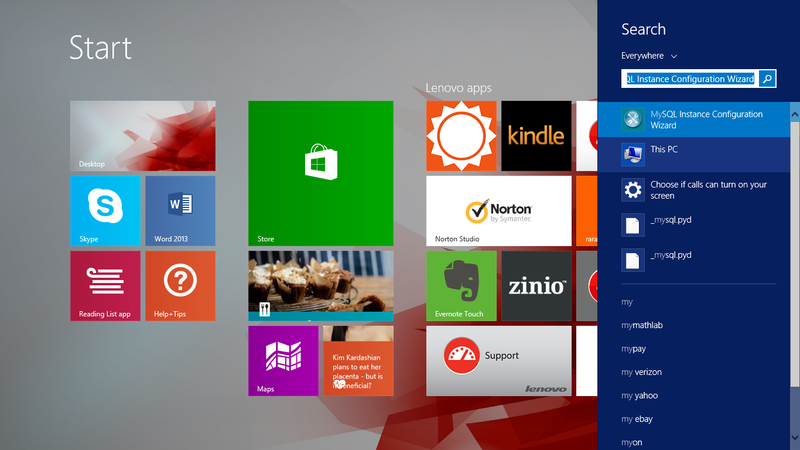 Then, tick the “Enable root access from remote machines” option. 4) Execute and wait until all 3 steps are completed. (D) Run DBInstaller.exe at Ingress Server PC. 3) Click “Test Connection” > “Update Connection” > “Upgrade Database”. Now that the connection is established between the Client and the Server, connect to your Ingress without any problems! Referring to your problem, first of all please make sure you can ping the IP address for server PC from your client PC. If you cannot ping the IP address, please check the network connection between both PC. When you can ping the IP address, you need to open and run the Ingress Server from server PC before you can run it from the Client PC. However, if the problem still persist, you can try to close or turn off the Firewall setting on both server PC and client PC, then check back the connection status. Regards. The configuration for MySQL instance configuration should not take so much time. If you are still facing an error, you have to uninstall MySQL in your PC and delete MySQL folder located in Program Files and Program Data (Hidden folder) first. 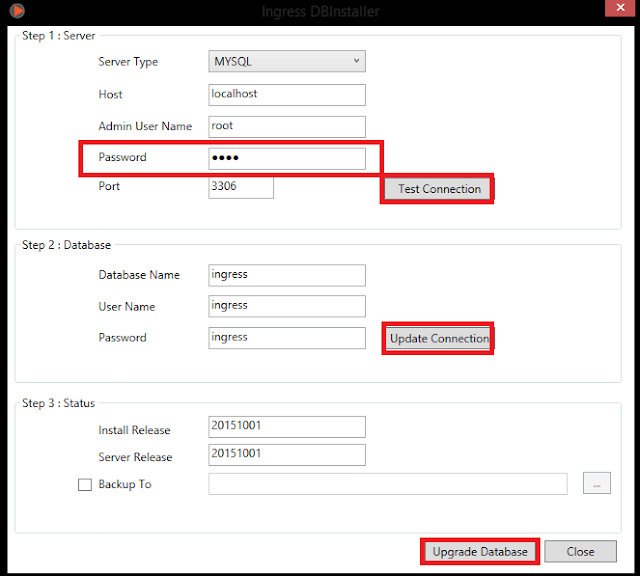 Once deleted, reinstall MySQL and setup MySQL Instance Configuration as a fresh server. Kindly note that once you have uninstall and delete the folder, your database stored in MySQL will be deleted.